Rodents are an order of mammals, characterized by a pair of continuously growing incisors in the center of the mouth. These incisors need to be worn down by continuous gnawing and grinding. Rodents make up the largest order of animals on the planet with approximately 2,277 species of rodents worldwide. They live on every continent except for Antarctica and inhabit every type of habitat except for the oceans. Some of the most commonly recognized rodents include rats, mice, rabbits, hamsters and squirrels. Many species of rodents are viewed as pests, due to their ability to eat through almost anything and gain access to food supplies and seeds. What is the largest rodent in the world? When most people think of rodents they think of small, furry creatures that inhabit small spaces. 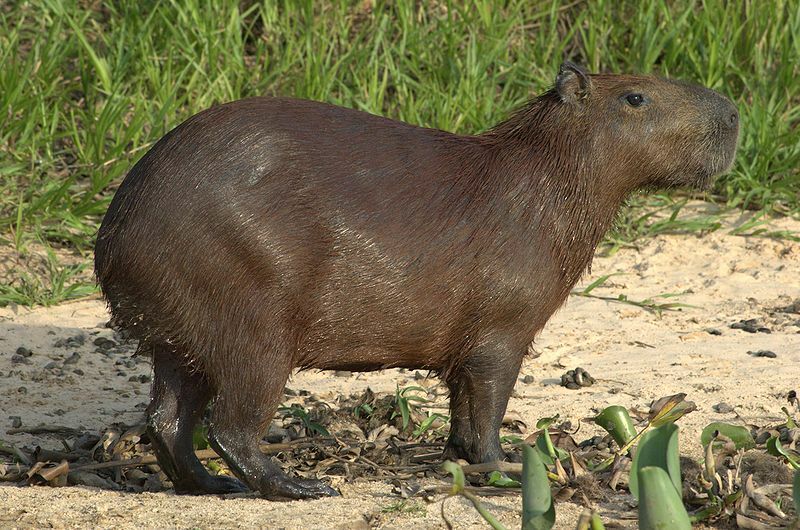 Few think of the largest rodent in the world, the Capybara. The Capybara is native to South America and grows to an amazing 107 to 134 cm (3.51 to 4.40 ft) in length and stands 50 to 64 cm (20 to 25 in) tall. They typically weigh 35 to 66 kg (77 to 150 lb). They have a barrel-shaped body and short heads and necks. 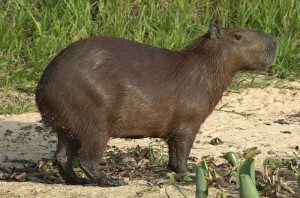 They resemble a large version of the guinea pig and have a blunt snout and small ears. Capybaras inhabit the savannah and dense forests of South America and are most commonly found near bodies of water. Capybaras are semi aquatic and can stay submerged for up to 5 minutes. Capybaras typically live in groups of 10 to 20 animals. Capybaras can live up to 12 years in captivity, but typically only survive 4 years in the wild. The female Capybara usually gives birth to 4 babies per litter but can give birth to up to 8. The Capybara cannot synthesize vitamin C and when kept in captivity can develop scurvy. The Capybara is also farmed in South America for its meat and fur.